Find out what was changed in No Man's Sky NEXT by reading the latest 1.52.2 patch notes. The 1.52.2 update has arrived in No Man’s Sky NEXT, bringing with it a variety of changes and improvements. The latest hotfix is intended to help correct some of the bugs and issues players have been experiencing following the launch of NEXT. For example, a bug where players were prevented from removing a certain number of Nanites from their inventory has been patched. Other changes include players now having the ability to build Base Caches on their Frigates. Lost your old base after the launch of NEXT? You can now restore your old base to its original glory. A tutorial has also been added to the game that’ll walk you through the restoration process if you’re having difficulty. To see what else has been fixed, read on for the full No Man’s Sky NEXT 1.52.2 update patch notes! 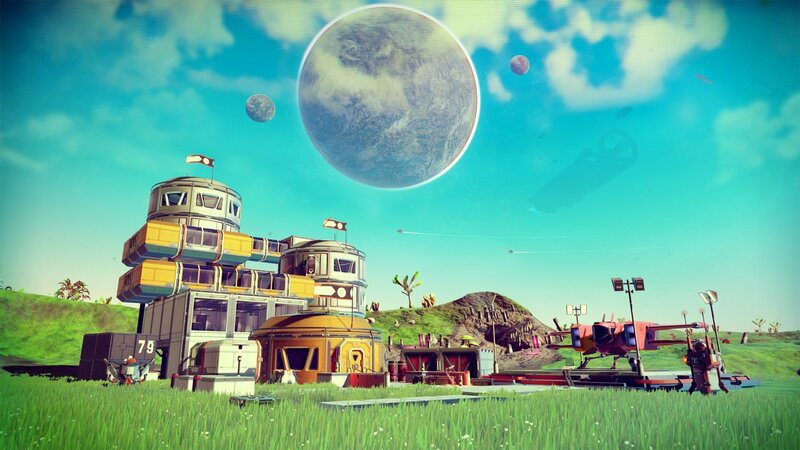 The 1.52.2 update fixes a variety of issues in No Man's Sky NEXT. Fixed a crash in creature routines. Fixed a crash when multiple players put ammunition into a refiner. Fix for occasional crash when receiving mission rewards. Fix for crash when adjusting anisotropic filtering settings in the graphics options menu (PC only). Fix for potential crash in geometry streaming. Improvements to texture caching for AMD GPUs (PC only). Granted players Nanites when they dismantle their Obsolete Technology. Can spend Nanites on new upgrades in Space Stations. Fixed an issue where players were unable to build Frigate Terminals in Creative Mode. Fixed an issue where S-Class ships changed appearance. Additional hotfixes and patches for No Man’s Sky NEXT will likely roll out over the next few weeks. What do you think of the 1.52.2 update patch notes? Have you noticed an improvement following the release of the patch, or are there still issues you’re waiting on a fix for? Let us know down in the comments below! For more on No Man’s Sky NEXT, be sure to read through some of our helpful guides including how to use the Rocket Boots in No Man’s Sky NEXT, where to get Cactus Flesh in No Man’s Sky NEXT, and how to join other players in No Man’s Sky NEXT!